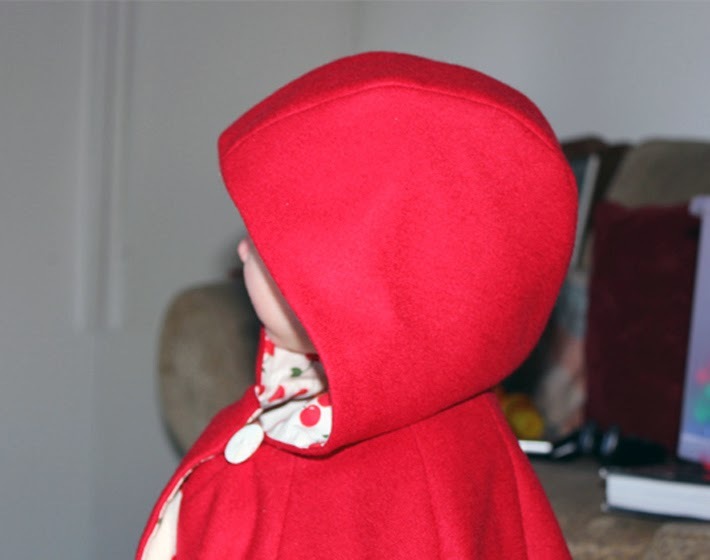 I recently bought some red wool to make myself a Tessuti cape (which afterwards I regretted a little. Can an adult wear a red cape?) 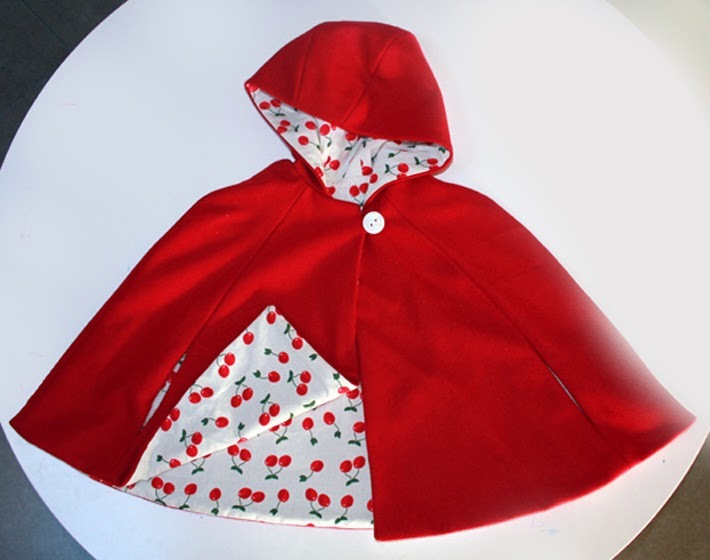 Anyway, I just happened to come across a pattern for a little cape in the Oliver + S book - Little Things to Sew that required exactly the amount of fabric I had left over. It was very easy, and fun to make. I'm pleased with the way it turned out. Unfortunately my 18 month old daughter is not so keen. I managed to get it on her for about five seconds for the photo, but haven't managed to get it anywhere near her since. What a great little Cape.